Every aspect of litigation is based on time. Litigants only have a certain number of days to respond to motions, answer discovery, or serve a summons. Perhaps the biggest time related concern in litigation is the statute of limitations. The statute of limitations is the due date for a lawsuit. If a claim is brought outside the statute of limitations, it is generally almost always barred and must be dismissed. Americans are now appreciating more how harsh limitations can be; seeing Bill Cosby not being asked to account of the allegations against him. 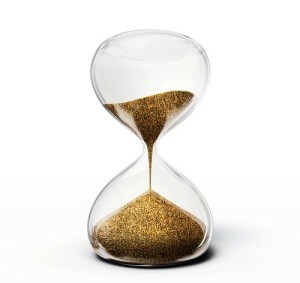 A statute of limitations should be thought of a more of a time frame and less of a deadline. The right to bring legal action accrues whenever the subject matter of the claim occurred. For example, in a car accident case, the right to bring a claim begins right when the accident occurred. In a medical malpractice case, the period begins when the malpractice occurs or when the victim discovers it. Once that period has officially started, the clock on the potential claim has began ticking. The relevant statute of limitations will then lay out a period during which that claim must be brought. For example, in Maryland, the statute of limitations on most personal injury actions is three years. This means that a lawsuit for a car accident must be brought within the three year period that begins when the accident occurs. If the case is not brought within that time, it can never be brought. Granted, certain occurrences can “toll” the statute of limitations. This effectively means that the statutory period is paused. One of the most common reasons for tolling involves minors. Children generally do not have the capacity to bring lawsuits, meaning it would be unfair to hold a 13 year-old to a 3 year statute of limitations, if he could not even bring the claim for 5 years. That being the case, the statute of limitations would be paused until he turned 18. If you have a case that you think is time barred, it it still a good idea to call a lawyer anyway. Because there are rare exceptions that do apply. You can read more about these types of limitations here but remember the rules vary from jurisdiction to jurisdiction. Why Put Time Limits on Lawsuits? Fairness and finality are some of the ideas underpinning the statute of limitations. After an accident, it would not be fair, presumably, to allow the victim to hang a lawsuit over the other person’s head for an indefinite amount of time. The statute of limitations gives individuals closure instead of being in limbo, wondering if they are going to be sued. Another reason is that lawsuits, require the admission of testimony and evidence in order to be proven. Over time, witnesses’ memories will eventually start to fade. In some scenarios witnesses will move away and/or die. Evidence can also get lost and documents get destroyed after a certain amount of time passes. So really one of the aims of having a statute of limitations is to ensure that cases are heard when the evidence is still fresh and available. Also important to note here, statutes of limitation are just that: statutes. This means that they are passed by state legislatures and differ from state to state. While some states may have limitations periods that are relatively long, such as 5 years, other states may have periods as short as 1 year. In addition, there are some things in certain kinds of cases that must be done even before a year; for example, giving appropriate notice. Given how central the statute of limitations is to a case, it is important to consult an attorney to ensure that you can still bring your claim.